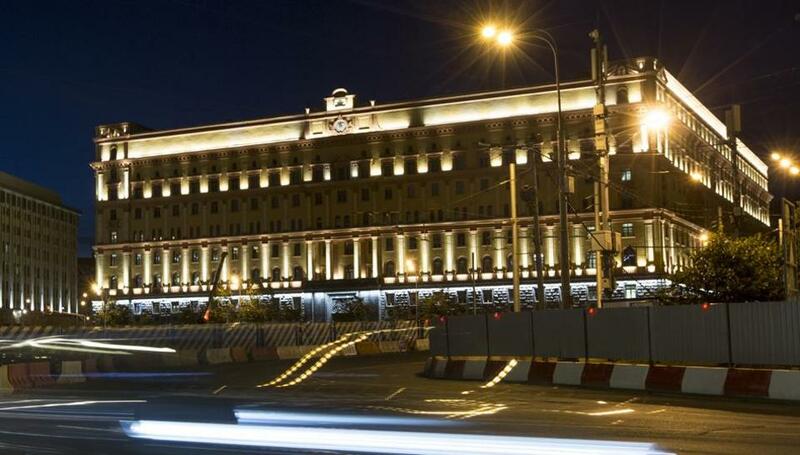 In this photo taken on Monday, July 24, 2017, a car passes the building of the Federal Security Service (FSB, Soviet KGB successor) in Lubyanskaya Square in Moscow, Russia. The head of Russia’s top domestic security agency is rejecting allegations of interference in the US election. Alexander Bortnikov, the director of the Federal Security Service (FSB), the main KGB successor agency, said Thursday that he discussed claims of Russian meddling in the US presidential vote with John Brennan when he led the CIA. The statement carried by Russian news agencies Thursday was the latest in a stream of denials issued by Russian officials in response to the meddling accusations. Bortnikov said that despite Russia-US tensions he and his agency have maintained contacts with US counterparts on Syria and the fight against terrorism. He said Russia and the US share information about potential terror threats.